EVI-PAQ BP-1 Laser Trajectory Pointer FREE SHIPPING! 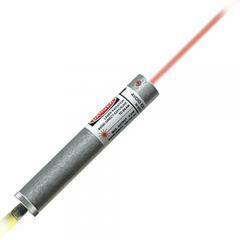 The EVI-PAQ BP-1 is a unique laser pointing device with an ultra-bright beam that is specifically designed to assist an investigator in the determination of the source and the trajectory of bullets at a crime scene. Its design allows it to be used in conjunction with EVI-PAQ's tripod mount, protrusion rod, trajectory kit, and photographic fog. ©2002-2019 CopsPlus.com: EVI-PAQ BP-1 Laser Trajectory Pointer FREE SHIPPING!